Hey folks, apologies again for not posting that much lately. Things have been hectic at work lately, and now I have some news to share about the situation. I am no longer working for BusinessWeek. I wanted to leave, and am excited to be moving on to new opportunities and different challenges. It was a great 10-year run, and an experience I will always treasure. I met many incredible and super-talented people, learned a lot about a lot of things, savored the opportunity to cover some of the biggest stories of the decade, and made a few good friends along the way. I wish all of my former colleagues the best in their endeavors. Watch this space for updates on my situation. Onward and upward . . . .
Th eBook War has begun. On January 30, Macmillan CEO John Sargent took the unusual step of going public in his company’s dispute with Amazon.com. To explain why Macmillan’s books were taken off of the Kindle and Amazon.com, Sargent took out an advertisement in Publishers Lunch, an increasingly influential blog that covers the publishing industry. The heart of the war is increasing tensions between publishers and Internet retailers such as Apple and Amazon over the pricing of books in the digital age, an issue that I focused on in my BusinessWeek feature, eBooks: Averting a Digital Horror Story. Amazon has deeply discounted ebooks, typically charging $9.99, and sometime going as low as $7.99. However, publishers don’t take a loss. They are typically paid about half the hardcover’s retail price, whether a digital book or hardcover is sold. But Amazon has been pushing to pay them less, and many publishers think cheap digital books undervalue their product and will open the door to lower industry revenues in the future. That’s the problem that Sargent tackled in his note. In the ad, Sargent proposes moving to a different business model in which publishers set the price of ebooks and split the revenue with retailer, with the publisher keeping 70%, and 30% going to the retailer. This is precisely the type of business model and revenue split that Apple is reportedly offering publishers who offer ebooks on its new iPad tablet computer. The growing battle between Amazon and Apple over digital content distribution is going to be one of the most important tussles of the Digital Age. It will shape the future of electronic culture. This is just the beginning. And publishers should be careful what they they wish for. Many publishers are worried that Amazon will end up with the same kind of pricing power in books that Apple has in music, and that the book industry will suffer the same kind of bruising decline. Now, with the iPad, they are clearly trying to use Apple as a wedge in that fight. But as Tim O’Reilly told me, Apple could very well end up being the dominant player in ebooks. One reason: More than 50 million people have the company’s iPhone or iPod Touch, which can be used to read digital books, compared with just four million who have electronic book readers. O’Reilly says his company is generating far more sales from Apple customers than Kindle users. O’Reilly currently offers 500 books on the iPhone, compared with 350 Kindle titles. Another 500 iPhone titles are in the works. the iTunes/App store and the iPad. Whether one company will end up benefiting content providers more than another over the long run is the big question. Twitter is ending 2009 on a high note. The microblogging site has reached profitability after inking $25 million of deals that make its content searchable by Google (GOOG) and Microsoft (MSFT), Bloomberg BusinessWeek has learned. In October, Twitter said it had struck multiyear arrangements that make users’ short blog postings available on Google.com and on Bing, which is run by Microsoft. Those agreements carry sufficient value to help Twitter achieve a small profit for 2009, say two people familiar with the company’s finances, who asked to remain anonymous because Twitter’s books are not a matter of public record. Like many social media startups, three-year-old Twitter focused early on adding subscribers rather than generating revenue. That’s left many analysts and investors wondering how and whether the company—often cited as a candidate for an initial public offering or acquisition—would make money. Twitter co-founder Biz Stone declined to comment on the company’s finances, but wrote in an e-mail that the company is proud of the work it accomplished in 2009. “We’re thrilled about the partnerships we’ve formed this year and we’re looking forward to opening Twitter even more in the future,” Stone wrote. My newly departed colleague Steve Baker’s last piece for BusinessWeek is a contrarian take on social media. Given that this skeptical piece was penned by one of social media’s biggest fans and practicioners, it’s worth a close read. Read the rest of the piece here. It’s generating a pretty vibrant discussion on bw.com. In this week’s issue of BusinessWeek, we published the inaugural list of “The World’s Most Intriguing New Companies.” I am thrilled that we launched the package right as Global Entrepreneurship Week kicks off, taking place Nov. 16-22, in 85 nations. 2. Startups may play a central role in any recovery. There was one startling new study, based on 2007 Census data, I was unable to work into the story that I want to highlight now, which provides some empirical evidence supporting the second point. The upshot: It is clear more than ever that new companies and the entrepreneurs that lead them are the engines of job creation and economic recovery. It is well known within economic circles that new companies produce the majority of new jobs in the U.S. economy. What this reports reveals for the first time is extent of that trend, and the fact that startups play a particularly important role in growing jobs out of a recession. New companies have produced all of the net new jobs in the U.S. from 2001-2007, and also from 1980-1983, the last big American downturn, according to the study. Read the rest of the BusinesssWeek blog post here and also see an embedded link of the report. Here’s the lead of my story introducing a big new project and special report I’ve been working on the last few months. It’s called “The World’s Most Intriguing New Companies,” and highlights 25 of the world’s coolest startups with game-changing potential. In addition to my story and the list, the package also includes five profiles of standouts companies on the list: Epizyme, Driptech, Layar, Phycal, and China Water & Energy. And that’s not all! We’ve also created an interactive slide show of the 25 startups, plus an online extra about another Chicago startup called CitySourced. Check it out and let us know what you think. Fake isn’t alone in betting on that. A crop of potentially groundbreaking companies is emerging from the wreckage of the Great Recession. No question, some will blow up, and others will fail to reach their potential. But the downturn has done little to dampen the entrepreneurial spirit. During the first half of this year, angel investors financed 24,500 new ventures, 6% more than during the same period last year, according to the Center for Venture Research. The overall amount of money going into startups has declined, but the figures suggest that this year will see the birth of roughly 50,000 companies with enough promise that someone is betting money on them. “It may be that this is the best time to start a company,” says Carl Schramm, president of the Kauffman Foundation, an organization that promotes entrepreneurship. With that backdrop, BusinessWeek set out to find the world’s most intriguing new companies. After much reporting and research, we’ve assembled a list that’s a barometer of innovation trends in the global economy, with startups that are pioneering new markets in biotechnology, clean technology, health care, and Web computing. Hunch is just one of 25 that made the final cut. Other standouts include Epizyme, a Massachusetts outfit creating cancer-fighting drugs that attack errant proteins; China Water & Energy, a Hong Kong company developing massive wind-power farms in the Chinese countryside; and Driptech, a California startup engineering low-cost irrigation systems for poor farmers around the world. “The markets that we are addressing in India and China are vast and untapped,” says Driptech’s 26-year-old founder, Peter Frykman. Read the rest of the story and package here. Over the last week, BusinessWeek entered the wireless application market and launched its first two apps. Last week, the BusinessWeek for Blackberry app was released, and yesterday we launched an iPhone app. I have not seen the iPhone app yet but I just downloaded the Blackberry app. To get the app, I would recommend going to this Web site, instead of downloading it from the Blackberry app store. I tried to download it from the app store but it did not work. On the other hand, the Web-based download process worked fine. The app and stories download fast. The user interface is clear and iis easy to navigate. And the stock ticker feature works, though it was a bit slow when I used it this morning. It is also easy to add stocks to your watch-list by clicking on a link. That’s all good. For future iterations, I would like to see a tab that zips you to the Most Read or Most Emailed stories of the day. That is one of my favorite features of the Bloomberg app. And it would be cool to be able to watch our videos on the mobile app as well. Congrats to the BW team for launching these apps. I look forward to hearing feedback from users, which you can easily pass along via a link at the bottom of the app. Where Have You Gone Bell Labs? Management consultant Adrian Slywotzky wrote an incredible think piece and call to action in this week’s BusinessWeek. This is a must-read story about the future of America. I couldn’t agree more with his conclusion that America needs another Manhattan Project or DARPA to inspire and stimulate the next blockbuster industry or two that will keep our nation prosperous and secure. President Obama clearly appreciates the importance of science. Now he needs to take things to another level and launch the equivalent of our generation’s space race. And this story provides a blueprint to do that. Where Have You Gone, Bell Labs? Name an industry that can produce 1 million new, high-paying jobs over the next three years. You can’t, because there isn’t one. And that’s the problem. America needs good jobs, soon. We need 6.7 million just to replace losses from the current recession, then another 10 million to spark demand over the next decade. That’s 15 million to 17 million new jobs. In the 1990s, the U.S. economy created a net 22 million jobs (a rate of 2.2 million per year), so we know it can be done. Between 2000 and the end of 2007 (the beginning of the current recession), however, the economy created new jobs at a rate of 900,000 a year, so we know it isn’t doing it now. The pipeline is dry because the U.S. business model is broken. Our growth engine has run out of a key source of fuel—critical mass, basic scientific research. 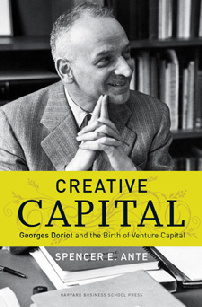 In the decades after these initial discoveries, vibrant industries and companies were born. The transistor alone is the building block for the modern computer and consumer-electronics industries. Likewise, DARPA’s creation of the Internet (as ARPAnet) in 1969 and Xerox PARC’s development of the Ethernet and the graphic user interface (GUI) further developed the transformative computer and Internet industries. The basic research breakthroughs unleashed subsequent cycles of applied innovation that created entirely new sectors of our economy. But since the 1990s, labs dedicated to pure research—to the pursuit of scientific discovery—have seen funding slowly decline and their mission shift from open-ended problem solving to short-term commercial targets, from pure discovery to applied research. Bell Labs had 30,000 employees as recently as 2001; today (owned by Alcatel-Lucent ALU) it has 1,000. That’s symbolic and symptomatic of the broken link in the U.S. business model. With upstream invention and discovery drying up, downstream, industry-creating innovation is being reduced to a trickle. The unemployment rate is likely to remain distressingly high because many people who want jobs will lack the appropriate qualifications. Second, inflation could pick up sooner than expected if employers are forced into bidding wars to recruit the few people who are qualified for the work. Third, if unemployment stays high it will put additional political pressure on Congress and the Obama Administration to push through fixes that could make matters worse in the long run, such as insulating workers from the cost of long-term unemployment to the point where they lose their appetite for work. I was one of several reporters and editors who helped Peter write this cover. I learned a few interesting things while reporting the story, which led me to believe that this shift was having a real impact. One thing I learned is that the thousands of laid off workers from Wall Street, many of whom have high-level math and computing skills, are so far not that interested in leaving finance and going to work for a tech startup. The idea was to try to lure some of the talented software engineers who had been laid off on Wall Street to technical jobs at the two dozen New York-area companies that his venture capital firm was financing. Wilson was fishing for quants. But it wasn’t the game-changer the VCs were hoping for. Wilson only filled a handful of jobs. “It wasn’t the panacea I thought it would be,” says Wilson. It turns out that the learning curve was too steep for many financial engineers who were not well versed in the ins and outs of online advertising and analytics. Plus, many Wall Street refugees are not prepared to accept a massive reduction in their salary. What does this mean for tech companies? I think it means that it will most likely be hard to poach seasoned talent from the financial world for the next few years. Most of the Wall Street folks I know who have been laid off are still looking for jobs with financial firms, though they are more likely of the smaller, boutique variety. Some of them are finding jobs. Not all of them will, though. Wall Street just won’t be big enough to absorb all the people who have been laid off or fired. That restructuring process is probably going to take a few years to play out. Meanwhile, if I was a tech company, I would focus on trying to poach talent from other tech companies, or I would look for recent graduates or younger employees with tech skills that can be retrained much more easily. This is the hope of President Obama. In a lengthy interview in the New York Times magazine with David Leonhardt, President Obama says that one healthy consequence of the financial crisis will be that college grads with math skills won’t automatically want to become derivatives traders. “We want some of them to go into engineering, and we want some of them to be going into computer design,” said Obama. So I would expect to see more talk and action from the Obama Admin. on this skills mismatch and retraining issue. He clearly sees it as a economic problem and priority.